The Beaux Arts Water Department supplies water to residents of the Town and is the only utility owned and operated by the Town. Originally developed in 1908 by the Western Academy of Beaux Arts, the water system was acquired and operated as King County Water District No. 22 from 1925 through 1973, when the Town took over operation of the system. The Water Department draws water from a deep artesian well located near the north end of the beach, stores it in a 30,000-gallon water tank, and moves it on demand by gravity feed from the tank sitting 67.5 feet high to each residence in Beaux Arts. Beaux Arts Village Municipal Code Chapter 13.05 establishes the rules and regulations of the Water Department. The Town's water is neither chlorinated nor fluorinated, but it is regularly tested to meet Washington State Department of Health requirements and is often praised for its taste and freshness. Newcomers may notice that the Town's water pressure seems lower than in other locales, but this is normal for our gravity-fed system. The Water Department maintains a connection to the Bellevue Water Utility, which is designed to activate automatically in an emergency, ensuring that no residence is left without water if the Water Department is out of service for any reason. The Water Department is operated by a resident volunteer, who supervises the operation and maintenance of the water-distribution system and works with the Town Council to fund that effort. He is assisted by a contractor, who acts as the Water Superintendent handling routine maintenance, installing new water-service connections, collecting water samples for testing, and performing special projects as needed. Each year, the Water Department prepares a Water Quality Report that is mailed to each residence. This report, also known as the Consumer Confidence Report, provides users with a "snapshot" of the quality of the water provided by the Water Department. The report summarizes the water source, contaminants detected over the previous year (if any), and a discussion of of those contaminants. Click on one of the following to view the report for the corresponding year. Please use this address for payments to and mailed correspondence with the Beaux Arts Water Department. Homeowners who have a lawn-irrigation system, fire-sprinkler system, pond, spa, hot tub, swimming pool or any other installation that is permanently connected to the water-distribution system are required to install and maintain a backflow prevention device (BFD). This device prevents water sitting in any of these systems from flowing back into the water-distribution system -- a potentially serious source of contamination. This device must be tested annually by a certified inspector. Each spring, the Town arranges for bulk testing of BFDs on behalf of residents who wish to participate in the program. There is a nominal fee for this testing, usually about $40 per test. 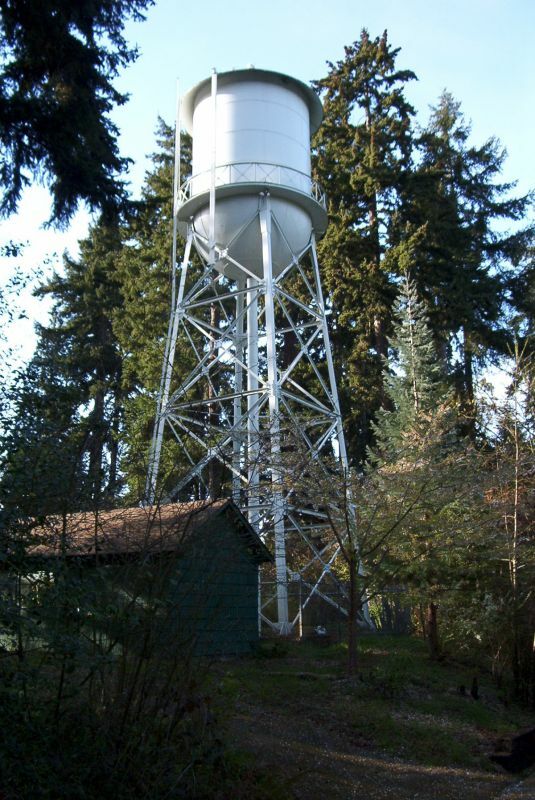 Homeowners who choose NOT to participate in this bulk testing must arrange for their own annual test and submit the results of that test to the Beaux Arts Water Department, 10530 SE 27th Street, Beaux Arts, WA 98004. On occassion, customers report a sulfer-like smell in the water coming from a tap inside or outside their homes. That smell is caused by an anaerobic organism that lives on the trace amounts of manganese in our well water. Neither manganese not the organisms pose a health threat, but the smell can be objectionable. These pockets of smelly water tend to develop in taps that are seldom used and in garden hoses that sit idle through the cooler months. Many homeonwers find that just running the affected tap for a period of time flushes out the smell, but that doesn't always work. Homeowners who are unable to completely eliminate the smell may want to call a plumber, particularly one with experience in water treatment. The Town does not, as a rule, recommend firms to our residents. We suggest that you perform an internet search for suggestions or consult a service like Home Advisor or Angie's List.